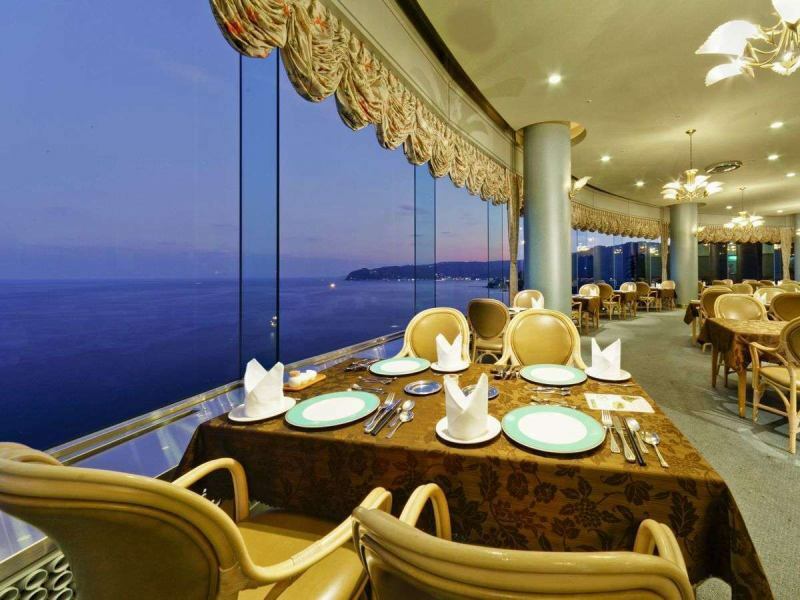 A glass-faced restaurant facing the ocean in fan shape. On the full moon night, the light of the moon turns into a belt in the eye of the eye, and you can relax eating while Nishikiga-Ura fantastic Nishikiga-Ura. 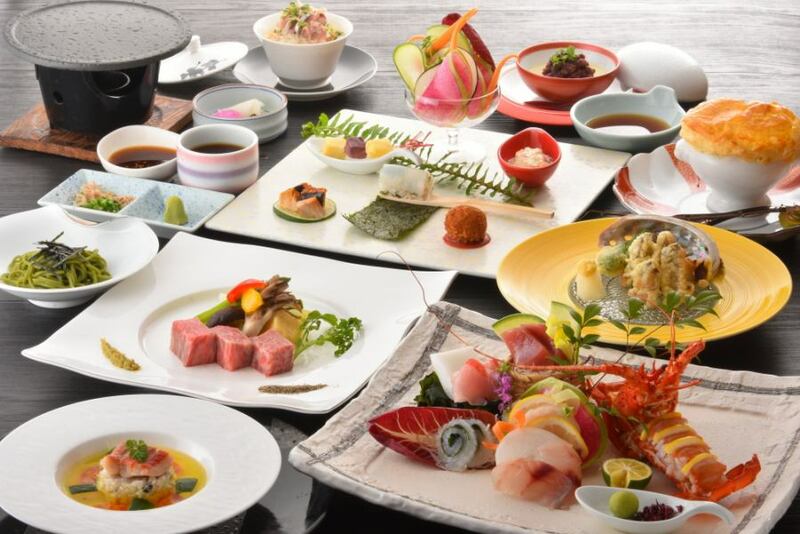 We offer French course which uses Atami seafood fresh seafood abundantly.In addition, we have a wide selection of wines carefully selected by the Hotel Sommelier from the local winery. Breakfast will be a buffet with Japanese and Western dishes at this venue. The Japanese restaurant "Maiougi" (Maien) has been renewed completely.In the bright and calm atmosphere, we serve dishes with various seasonal ingredients for each season.In this refurbishment we will offer you half a single room so that you can enjoy your thoughtful time.You can use it in various scenes such as couple, friends, couple etc. Please enjoy the luxurious moment of enjoying seasonal taste with colorful cuisine with sophisticated space and hospitality, with a newly reborn Maiougi. 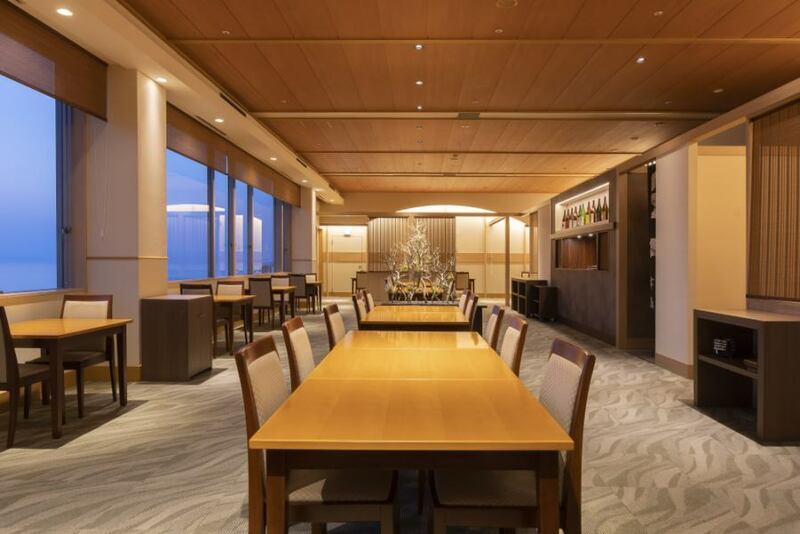 ※Maiougi will be a special dinner venue for guests staying at Royal Wing. Copyright 2016 AKAO RESORT Co., Ltd. ALL Rights Reserved.